Who knew I liked Taiwanese? I mean, I certainly didn’t until I stepped foot into Baby Bao with one of my girl friend’s last month. Discovering new eateries is always something I enjoy, especially when the menu offers so much choice to even the most difficult of eaters. 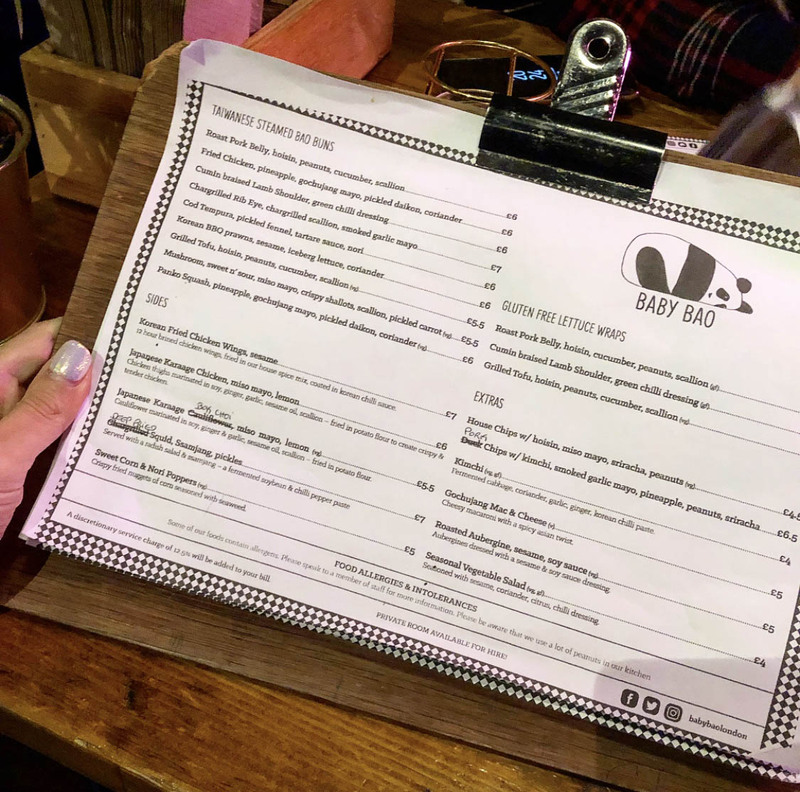 Originally born in Brighton, Baby Bao made it’s debut in the lovely Haymarket, London last year. A brilliant location to attract tourists, office workers and Londoners looking to try out a Bao Bun Concept. The pricing structure is affordable and the atmosphere is vibrant with modern, fun, decor. It’s a great stop if you’re looking for a small bite or something filling. The menu choice is generous with many options including a substantial choice for veggies and vegans. 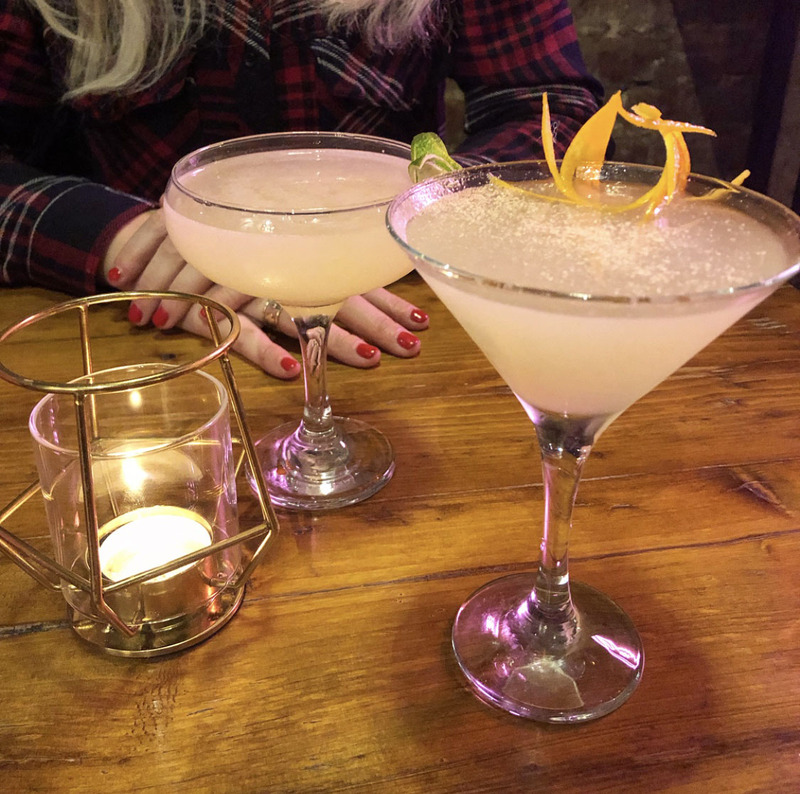 The drinks menu is equally delightful and the cocktail I had was delicious. Feeling indulgent, we chose the ramen chicken, lamb shoulder and mushroom bao. The steamed buns were fluffy and light to digest and their fillings equally delicious. 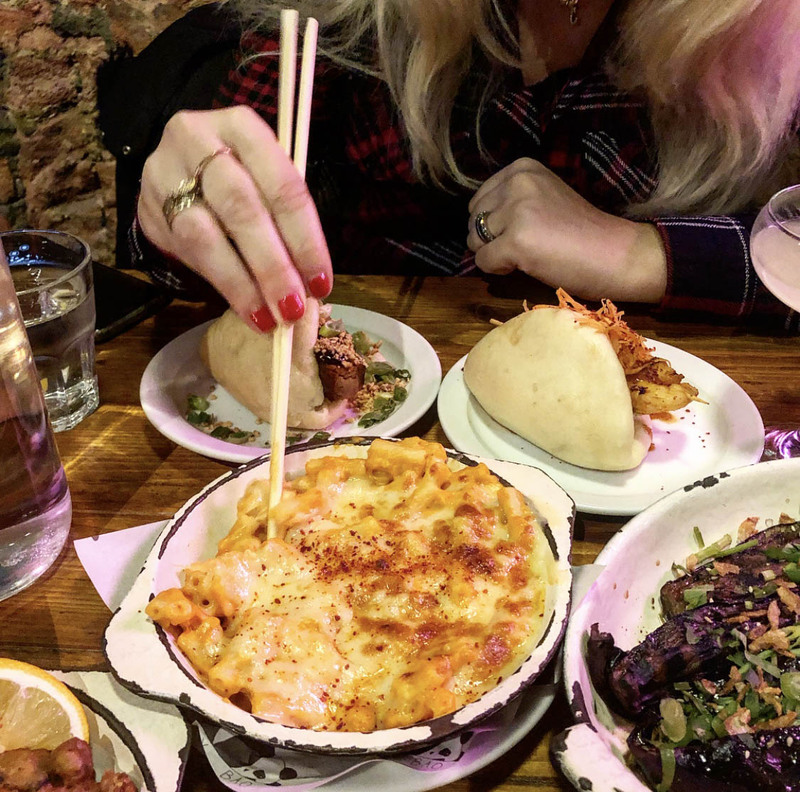 To compliment these dishes we went for the Mac and cheese (divine), roast aubergine and sweet corn poppers. 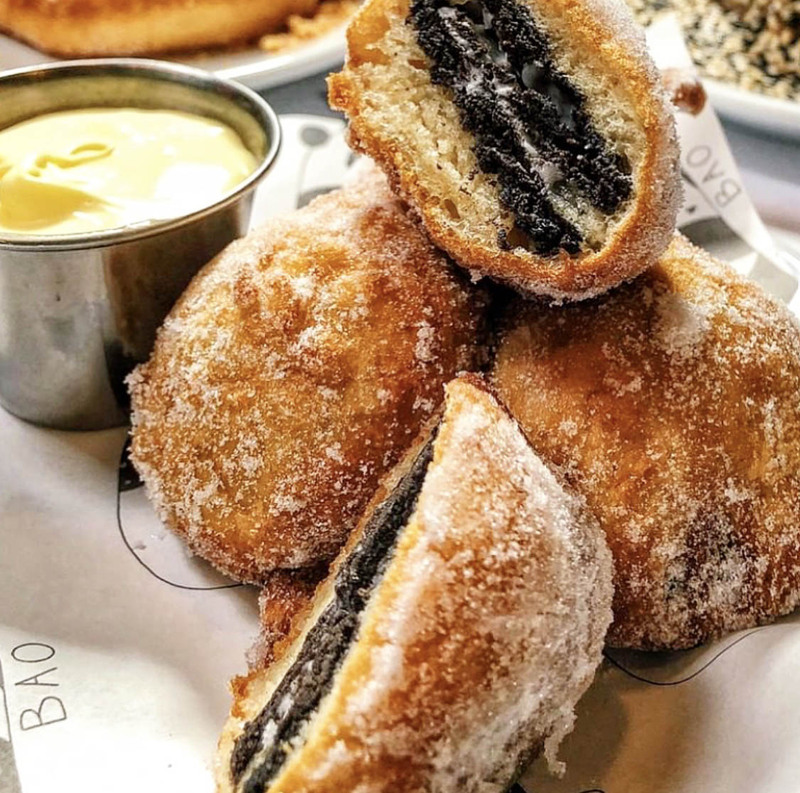 We did feel pretty satisfied after our mains but once we saw deep fried Oreos with white chocolate sauce on the desert menu, we couldn’t resist (even if it did mean I had to unbutton my jeans) and we didn’t regret it. Baby Bao, I’ll definitely be making a return! For more information about Baby Bao click here. *disclaimer – whilst the food was provided in return for a review, all opinions are entirely my own.